As I always say every fall, this time of year I love getting the slow cooker out and making meals as simple as possible. There is nothing better then having dinner taken care of pretty much as soon as you get up. I don't know about everyone else but starting around 4 o'clock in the afternoon the Hire household turns extra crazy with tired kiddos that have had a busy day, making supper even more of a challenge. 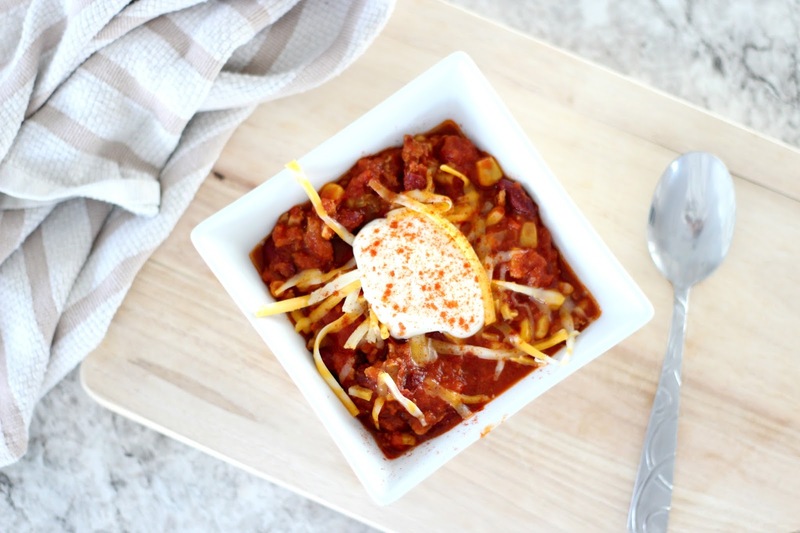 So today I wanted to share this super quick and easy slow cooker chilli recipe that you can throw on in the morning and your good to go! Turn your frying pan to medium heat and cook up you ground turkey with your minced garlic. Throw all your canned and powdered ingredients in the slow cooker and give it a good stir. Add in your cooked turkey and garlic, give it a stir and let it cook for 4-6 hours on high. 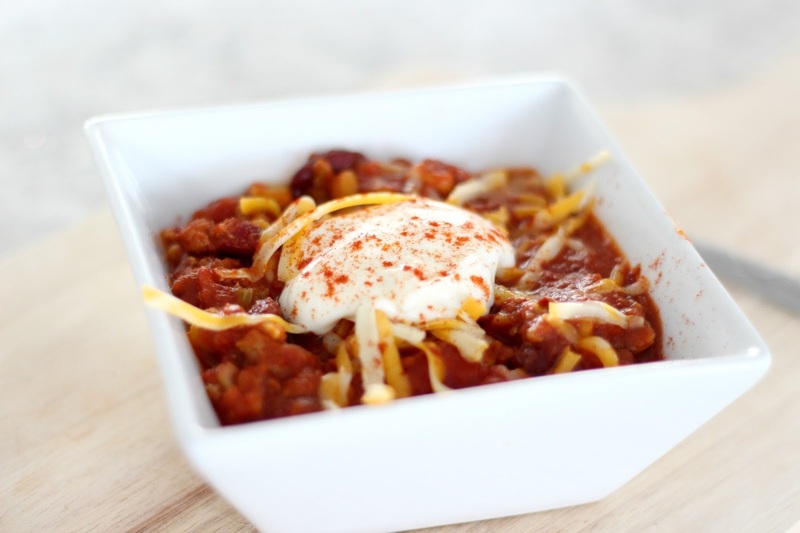 Garnish with sour cream, shredded cheese and a generous amount of smoked paprika and enjoy!